For the first Mercedes-Benz officially released images of sedan coupe second-generation CLS-Class. 4-door coupe that goes in a new category since 2003 is now promising a fresh design to deal with rivals from Germany. Mercedes-Benz CLS 2011 (refer to the U.S. market as a CLS 2012) do a lot of exterior changes from the previous generation. Now rivals the BMW 5 Series sedan GT has a longer bonnet and side window a sharp angle. Even the roof line is also made ​​lower in the back, so it looks more aerodynamic. Mercedes-Benz CLS 2011 declared the exterior design of many elements apply AMG, Mercedes-Benz's performance division. It is evident from the design of the radiator grille is made is not integrated with the muzzle, but has a distance. CLS 2011 radiator grille is also more dominated by star logo. This concept follows the style that has been applied on the latest models of Mercedes-Benz. In addition, CLS 2011 is also designing an air gap into a large and dark-colored grille. 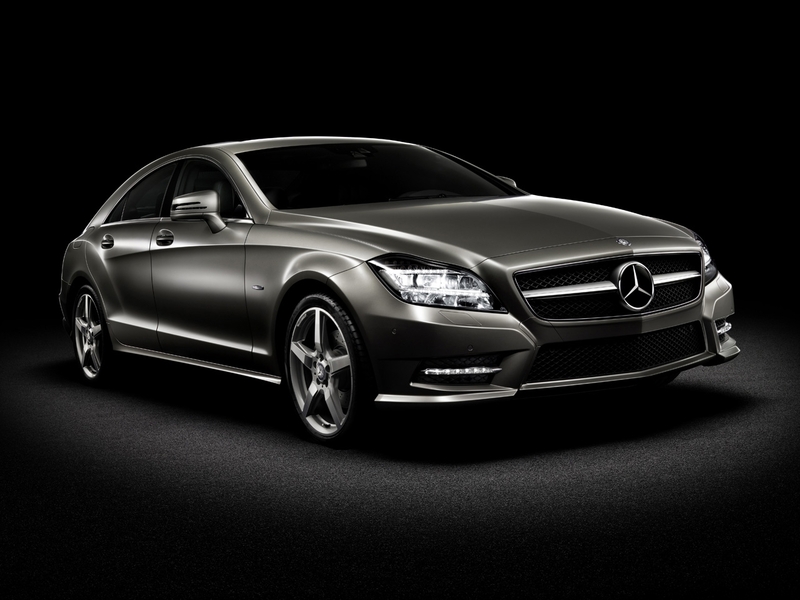 Thus, Mercedes-Benz CLS 2011 claimed more athletic. Other changes are also visible from the main lights are now applying LED technology. Lamp which amounts to 71 LEDs is not only adding value to the design, but also enhance good lighting when using lights near or far. CLS 2011 also made ​​many changes on the interior. Overall interior design changes made ​​to create an impression of CLS 2011 is more luxurious. Therefore, applying the CLS 2011 is now a lot more quality new materials. Even Mercedes-Benz has made five interior colors, five design trim, and three quality leather that can be ordered personally by the consumer. For CLS, marketed three variants and can be ordered starting this June. The price (all off-the road in Jakarta) is the CLS 350 CGI Rp 1.409 billion, the CLS 500 CGI Rp 1.859 billion and 2.059 billion CLS 63 AMG.